When we think of wisdom, ancient philosophers, mystics, or spiritual leaders come to mind. Wisdom is somehow associated with the past. However, some intellectual leaders suggest that we reconsider wisdom in the context of the technological development of the future. With the development of exponential technologies like virtual reality, big data, artificial intelligence and robotics, people are gaining access to ever more powerful tools. These tools are neither evil nor good in themselves; only human values ​​and decision making influence their application. When discussing the future, we often pay more attention to technological progress than to intellectual and moral achievements. In fact, the virtuous ideas of the people of the future will be more influential than their technological tools. Tom Lombardo and Ray Todd Blackwood adhere to this point of view. In their interdisciplinary work “Teaching the wisdom of the cyborg of the future,” they proposed a new definition of wisdom, which would be more appropriate in the context of the future man. The main goal of the article by Lombardo and Blackwood is to explore revolutionary educational models that will prepare people (who will also soon become cyborg) for the future. The idea of ​​raising such “cyborgs” may seem completely fantastic and incomprehensible. But look around: cyborgs have been around for a long time. Technophilosophists, such as Jason Silva, point out that our technical devices are abstract forms of neuro-computer interfaces. We use smartphones to store and retrieve information, perform calculations and communicate with each other. Our devices continue our minds, expand our consciousness and complement it. 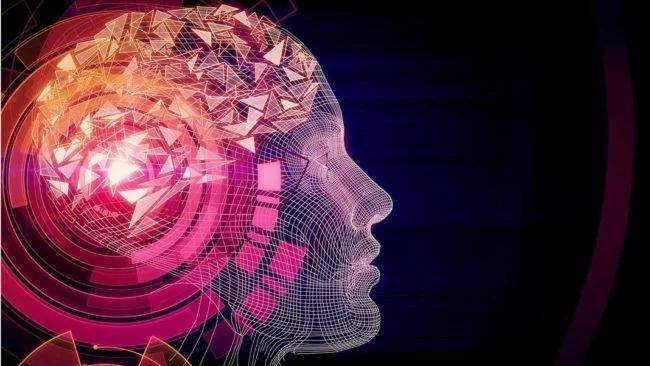 According to the extended mind theory of philosophers Andy Clarke and David Chalmers, we use these technologies to expand the boundaries of our mind. We use tools like machine learning to improve our own cognitive skills, or powerful telescopes to improve our visual reach. Gradually, these technologies become part of our exoskeleton, eliminating our biological limitations. In other words, you are already a cyborg. You have become for a long time. Such an abstract definition of cyborg at the same time suits us and makes us think. But it will not be abstract for too long. Over the past couple of years we have seen very significant improvements in both hardware and software of neurocomputer interfaces. Experts design more and more complex electrodes, program more and more high-quality algorithms for interpreting neural signals. Scientists have already successfully helped paralyzed patients to type by the power of thought, and even allowed people to communicate through brain waves. Futurologists like Ray Kurzweil believe that by 2030 we will connect our brain’s neurocortex to the cloud using nanobots. Given these trends, people will become more and more like cyborgs. Schools of the future will not necessarily teach people, rather a new kind: a hybrid of man and machine. If we take the abstract or literal definition of a cyborg, we need to completely revise our educational models. Even if you do not agree with the scenario in which people integrate powerful neurocomputer interfaces directly with the brain, in order for the current generation to cope with the tasks of the 21st century, it needs a new education based on wisdom. Our modern educational models — which rely on isolated subjects, standardized assessments, and knowledge of content — were created for the industrial age in order to create a mass of effective factory workers, and not to empower critical thinkers, innovators, or wise cyborgs. At present, the goal of higher education is to provide students with the degree they need in society, and supposedly prepare them as a work force. On the contrary, as Lombardo and Blackwood argue, wisdom should be the main goal of higher education. But how can we achieve this? Lombardo has developed a comprehensive two-year program of fundamental education for prospective students who will set themselves the development of wisdom. What does such an educational model look like? Lombardo and Blackwood break wisdom into separate traits and abilities, each of which can be developed and measured independently or in combination with others. The authors present an extensive list of characteristics that can influence our decisions regarding global challenges and the near future. Among them: large-scale thinking, curiosity, surprise, empathy, self-improvement, love of learning, optimism and courage. In the end, many of the problems we face in the everyday world come down to outdated ways of thinking, be it regressive thinking, superficial value systems or self-centeredness. Wisdom will protect our society from debilitating disputes; Imagine a world in which all members of society, including its leaders, spread wisdom. Lombardo and Blackwood invite us to imagine how wise cyborgs of the future would live their lives. What happens if the powerful man-machine hybrids of tomorrow will also be driven by purpose, compassion, ethics? They will perceive this emerging digital world through the lens of wonder, awe and curiosity. They will use digital information as a tool for solving problems and a source of unlimited knowledge. They will use immersive environments like virtual reality to enhance creative expression and experimentation. They will continue to adapt and thrive in an unpredictable world of rapid change. Our media often paint a bleak picture of the future for our species. But it is worth considering another, more positive and very real scenario, in which wise cyborgs rule the world instead of cars.